Home › Research › PhD research › Grouping by attainment in schools: can psychological interventions help turbo-charge poor students’ performance? Grouping by attainment in schools: can psychological interventions help turbo-charge poor students’ performance? 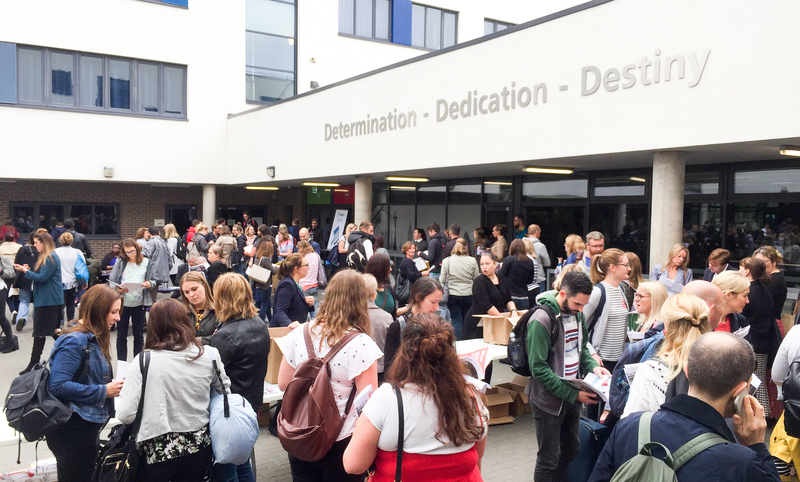 Last month I attended the impressive – and buzzy – sell-out researchED 2018 annual conference in London. The highlight for me was a fascinating piece of research presented by Becky Francis and Jeremy Hodgen of the UCL Institute of Education (IOE) on grouping secondary school students into classes (‘sets’) by attainment. This is often known as ‘setting’. They found that a disproportionately high number of poor students were allocated to sets for lower-attainers. So far, so expected. But it was their in-depth analysis of how setting exacerbates the underperformance of poor students that got me thinking about links to my own research in social psychology. What struck me most was that once a student is in a lower set, it can be really hard to get out. The curriculum is typically not as rich, leading to the first stumbling block – how can you move up to a higher set if you haven’t covered its curriculum? To add to this, they found common use of language and setting practices that reinforced the idea that setting reflects static ability rather than mutable performance (think “low-ability set”). All this means that poor students tend to stick to the lower sets to which they were allocated at the start of secondary school. And since teachers with less subject expertise tend to teach these sets, the socioeconomic gap gets wider as students progress through school. This lack of mobility must surely give many poorer students a sense that it’s simply beyond their capacity to thrive academically, and this resonates with my own research. We know that a phenomenon known as stereotype threat – the fear of conforming to a negative stereotype about oneself – can also cause students to feel that they are on a relentless path to academic failure. And there are good reasons to believe that negative stereotypes about the academic ability of poor students are widespread in the UK. Research suggests that stereotype threat might be responsible for perhaps 40% of the underperformance of negatively stereotyped students at school. Fortunately it seems to be possible to reduce the effects of stereotype threat by helping students feel a greater sense of confidence and agency in their life as a whole. A recent study of mine found that one such intervention, known as values affirmation, reduced the gap in maths results between poor students and their better-off peers by almost three quarters. But what if an intervention helps a student develop such a sense of confidence and agency, only for them to hit the brick wall of being stuck in a “low-ability” set? Could the momentum survive? Well, researchers in the US have found positive effects of values affirmation interventions that lasted up to nine years, but these seem to have persisted precisely because they helped school students break out of a negative academic track. Where does all this leave us? Well, to me it reinforces the idea that the practical and psychological barriers for poor students are tightly intertwined. The IOE has developed a ‘dos and don’ts’ guide of attainment grouping guide that addresses the practical challenges of setting. But their recommendations are more easily said than done, and indeed they found much resistance in schools to implementing them. As for addressing the social psychological barriers faced by poor students, research in the UK is in its early stages and I and others are actively trying to understand how and when interventions can help break them down. Perhaps we need to start looking with more precision at how the practical and the psychological interact. For example there is some limited evidence that within-class grouping, a more dynamic version of setting, can raise attainment but that it is more beneficial for higher-performing students. So maybe we could investigate whether combining within-class grouping with a values affirmation intervention can provide the fluidity to turbo-charge poor students’ confidence and consequently their academic performance? Anyone fancy giving it a go? 1 Pings/Trackbacks for "Grouping by attainment in schools: can psychological interventions help turbo-charge poor students’ performance?" Breaking down the psychological barriers to success at school | School of Psychology blog on Grouping by attainment in schools: can psychological interventions help turbo-charge poor students’ performance?